As one of the top spots in the United States for destination weddings, Vermont entices couples with its gorgeous landscape and famous Green Mountains. Tara Lynn Bridal has first-hand experience with this, as we have clients coming from all over, including Colorado, California, Florida, Canada, and many more. It was our honor and privilege to be invited to the Vermont Wedding Affair for an exclusive showcase of our gowns on live models. 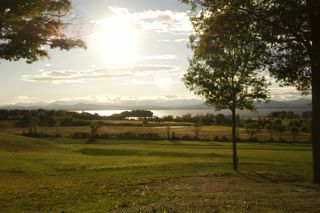 It took place at gorgeous Shelburne Farms in Shelburne, VT. We had a great time and got to meet a lot of other Vermont wedding vendors. From caterers to photographers to rental companies, these vendors are amazing for your Vermont wedding! All are focused on being wonderful complements to the beautiful Vermont landscape which provides such a perfect location for any wedding. 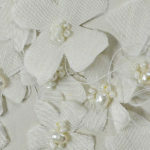 Tara Lynn Bridal has “the look” for your eco-wedding with her eco-beautiful wedding dresses! Tara Lynn Bridal dress styles Chiara (left) and Persephone (right). First, photographer Kathleen Landwehrle of Landwehrle Photography in beautiful Stowe, VT took some amazing photos of the event! Landwehrle’s photographs look amazing, don’t they? Educated in the fine arts, Kathleen has been taking sophisticated, stylish photographs for over 25 years. She uses the most up-to-date and advanced equipment and digital techniques to tell your story through her photographs. 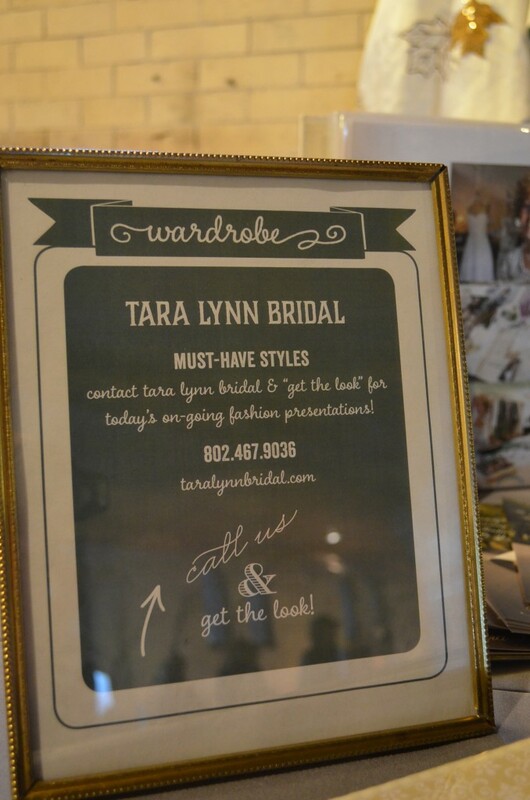 Landwehrle Photography snapped a picture of a Tara Lynn bridal gown at the Vermont Wedding Affair. The couch in the photo was provided by Vermont Vintage Weddings and Rentals. 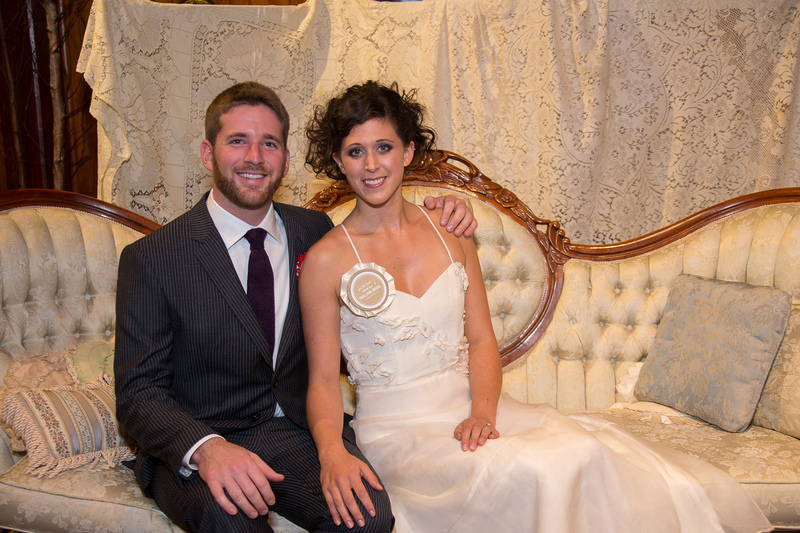 If you love the couch in the above photo, then you should definitely check out Vermont Vintage Weddings and Rentals. They rent out antique furniture for weddings. 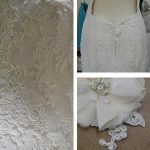 Their one-of-a-kind vintage pieces are sure to help make your wedding a unique experience for everyone involved! They help to make your setting and decorations look and feel exactly how you want them. Cloud 9 Caterers was at the event and fed us some delicious food! They have been making delicious food for weddings and events for over 20 years. They will help you with anything from finding vendors to favors for your guests. They will help you to design a wedding that is as unique as you are. Rachel LeClair of Topnotch Resort in Stowe, VT was at the event and told us about a wonderful new wedding location they now have at the resort. It is a beautiful spot for an outdoor ceremony! Enjoy the wonderful scenery with the backdrop of the Green Mountains. The resort has other venues, as well, to accommodate as intimate a setting you want. The beautiful Topnotch Resort’s outdoor natural wedding venue. Do you dread having to rent port-a-potties for your wedding? Have no more fear! Luxury Event Restrooms has the most beautiful restroom rentals you could imagine. Their bathrooms have hot and cold running water, granite counter tops, flushing toilets, air conditioning (or heat), real hand towels and attendants on-site to keep the units sparkling clean. They make renting bathrooms for weddings an easy experience! 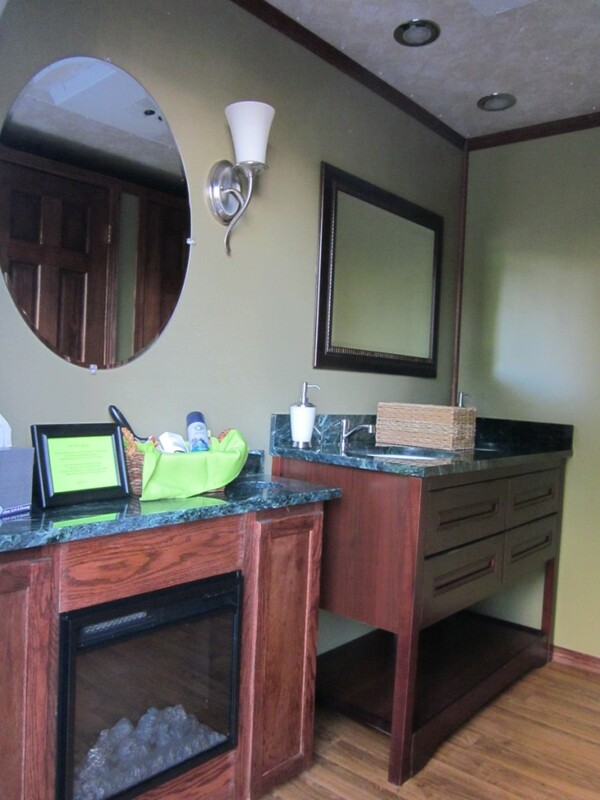 The sinks in Luxury Events Restrooms feature granite counter tops and hot & cold running water. 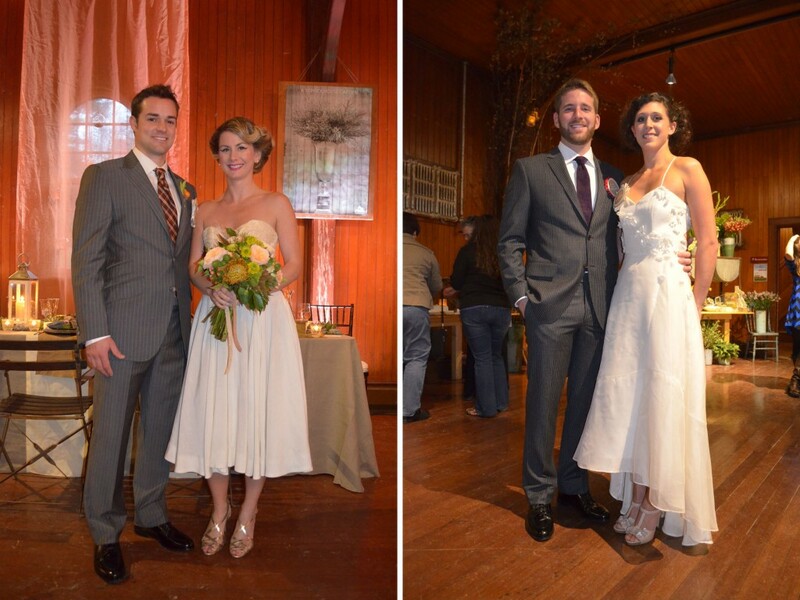 The Pollination Event Company is available to help with all of your wedding planning needs! Their goal is to “cross-pollinate” the public with the agricultural community by executing smooth running farm to table weddings. They are available for full-service planning and day-of coordination, and also offer their assistance if you want to do it yourself! Pollination Event Company is available for all of your farm to table wedding needs. All Souls Interfaith Gathering is a wonderful place “where spirit and nature meet.” They have beautiful wedding locations on their grounds. They have committed to expressing love toward all by lifting the spirit through music, encouragement, outreach, and environmental consciousness since 1999. They are the perfect wedding venue for couples looking to incorporate nature and spirituality into their weddings. All Souls Interfaith Gathering wedding venue! We met Chris Hessney from The Greenery, a floral production and design company located in Charlotte, VT. Chris specializes in fresh flower arrangements, weddings, and event production. Chris grew up working in flower shops and has continued developing floral skills by learning from various talented designers. 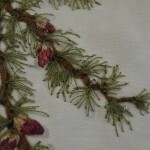 The Greenery would be a perfect option for your floral wedding needs! 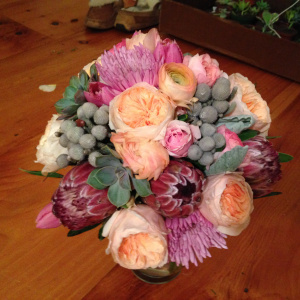 A bouquet by The Greenery would be a perfect accent for a Vermont wedding. 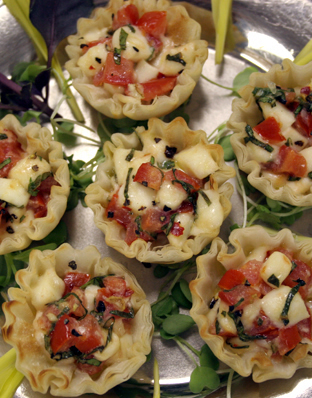 The Spice of Life Catering company provided some very yummy food at the Vermont Wedding Affair. They commit to providing wholesome and elegant foods while taking advantage of the season and the abundant local Vermont farmland. They will work with you to create the perfect menu to make your event even more special. We met the folks from Lasso’d Moon who create beautiful and unique wedding invitations. They provide invitations that are not cookie cutter, but are unique and tailored to you. 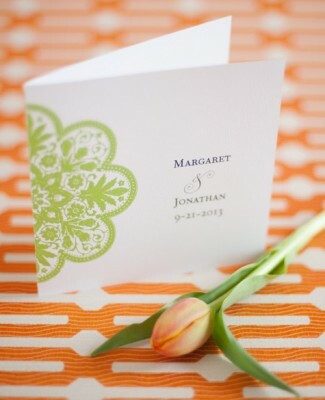 They provide invitations, but can also provide all of the wedding paper products you may need. They can either provide a custom design, or you can order from their signature line. Beautiful invitation design by Lasso’d Moon. We met Denielle Devlin, a pastry chef at BakeAria in Sheldon, VT. Their cakes are unique, natural-looking, and delicious! BakeAria does not just stop at cakes, they do other desserts and goodies, as well! BakeAria uses locally grown and organic ingredients whenever possible. 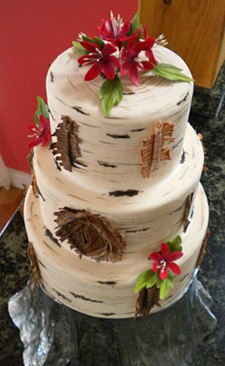 A birch cake made by BakeAria. 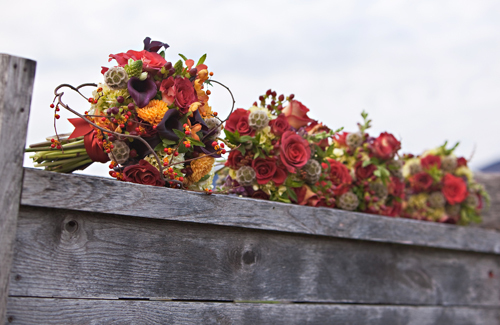 A Schoolhouse Garden provides floral services and encourages you to “invite nature indoors.” They create natural and graceful floral designs which would be the perfect compliment to any Vermont wedding. At the Vermont Wedding Affair they decorated an entire room for the event with succulents across the dining table and ethereal branches cascading over tables. Floral bouquets by A Schoolhouse Garden. Skinny Pancake’s Have Your Cake Catering was at the event, as well. 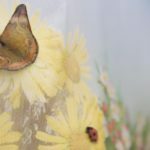 They will work with you to create a custom and unique wedding menu using the best local Vermont ingredients. They will help you to achieve your goal of a delicious Vermont-made menu with some of the best food around! 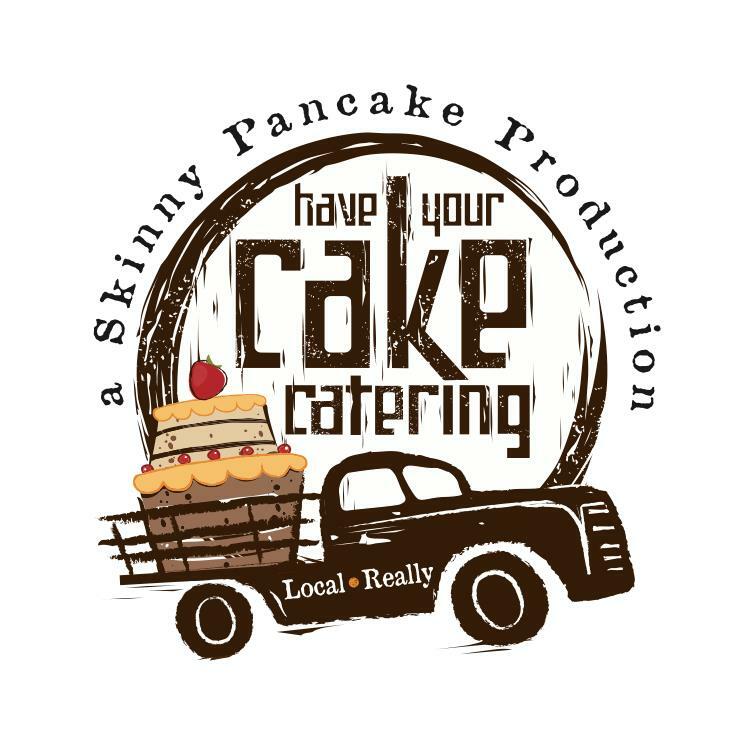 Skinny Pancake’s Have Your Cake Catering is a great way to have a locally grown and made menu for your wedding! Are you looking for a creative wedding planner? We met Ashley Witzenberger from W Creative Services, a full-service wedding event planner. They are dedicated to helping you plan a wedding that is distinctive to you. They have gluten-free, vegetarian, and vegan options as well! We loved their vegan rice wraps and mini BLTs! We had a wonderful time at the Vermont Wedding Affair meeting and talking to all of these wonderful vendors. Consider checking the event out next year so you can meet some awesome Vermont wedding vendors, too!